Self-care is a popular and clickable phrase these days. Everyone wants to feel physically well, happy, and calm instead of stressed. Yet…. we seem to be really bad at actually creating a life and an environment that allows you to experience these lovely states of being. Here is a list of ways to up your self-care game and to love your life better than you do today. Don’t worry, keep reading, it speeds up and lightens up as you go down the list. Enjoy! Just say “no” for goodness sake! We take on too much, people! Stop it. If it isn’t something you love or adds to the betterment of the world, your family, or you, then it’s a no go. That goes for meetings, obligations, hosting things, time on the internet, extra work assignments, etc. Know thy values. Do you even know what you believe about a good life? Take 1 minute and decide what are your highest priorities in life so you can use them as a guide in deciding how to spend (or waste) your time. A short list is best… for example, family first, health, freedom in making choices about how I want to live my life, being a loving and kind person, having a mindset of abundance and optimism. Most corporations want you to feel badly about yourself in some way, shape, or form in order to sell you products that will supposedly fix those woes. Remember this!! Turn off the stream of advertising and you can let your mind rest and recall that you are fine just as you are, as long as you are being kind and caring to yourself. Stop complicating your life. We buy too much and think we need to keep up with the proverbial Jones. Then, you have to work too much and stress too much to pay off all of those bills. Consider a different way to live, one of peacefulness and time to enjoy the simple pleasures in life. Could you downsize? Could you stop using your credit card? Could you work fewer hours? Could you get a cheaper car and ditch the car payment? 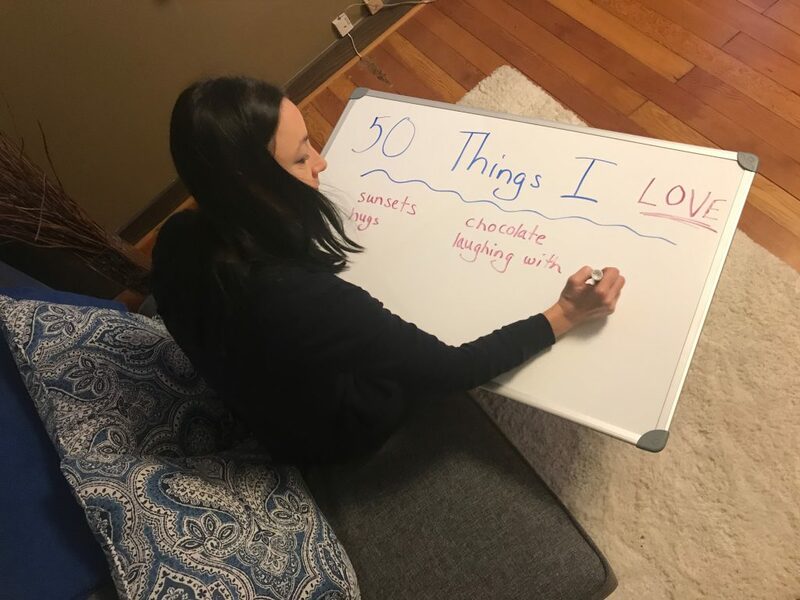 Make this list… “50 Things I Love.” It’s enlightening to do this because you will find that many of the things you love, such as hugs, sunsets, the feel of clean sheets, laughing with the kids over The Office episodes, and hiking in the woods are simple and free and cultivate true joy. Examine your energy sources and energy sinkholes. Sleep more – that’s the best source of good daytime energy. Exercise is also a great source of energy sustenance. Sinkholes may include: over drinking alcohol, watching too much tv, too much fake food and not enough foods that come from Mother Nature, taking on too many things that feel like obligations instead of joy. Get your spine adjusted regularly because it’s good for you! Clean up the kitchen before you leave it. It’s always nice to enter a clean kitchen in the morning. Have a conversation with someone you love about something happy or interesting. Toss something out that is cluttering your space and/or your mind. Post a reminder on your bathroom mirror so tooth brushing time can also be mind focusing time on a goal or a habit you want to create. Do something active outdoors. “There is no bad weather, just bad clothing.” Dress right. Stop trying to please the whole world. Please you. Floss your teeth. They say it makes you live longer. Have rituals and routines that make you happy. Freshen up one room in your house then actually relax in it. Sit by a bright LED light in the mornings. Use the setting in your phone that reduces the blue light waves during evenings and nights. Eat another vegetable and a fruit. Keep an emergency meal in your freezer or pantry. Those Aldi’s meatballs can be a lifesaver. Stretch your mind….can you think of something in a new way or from a new perspective. It’s a good practice as we age. Take a deep breath and hold it. When you need to exhale, do it slowly. This taps into your peaceful parasympathetic nervous system. Hold your phone up in front of your face instead of down at your waist when reading, texting, or scrolling. Place your hands on your heart and say something nice to yourself. A simple “I’m doing the best I can” is nice. Use your “Call a Friend” card. We all have that one person who will cheer us up no matter what, or who gives a great pep talk. Reach out. Have a bed day or a bed morning. What is this? 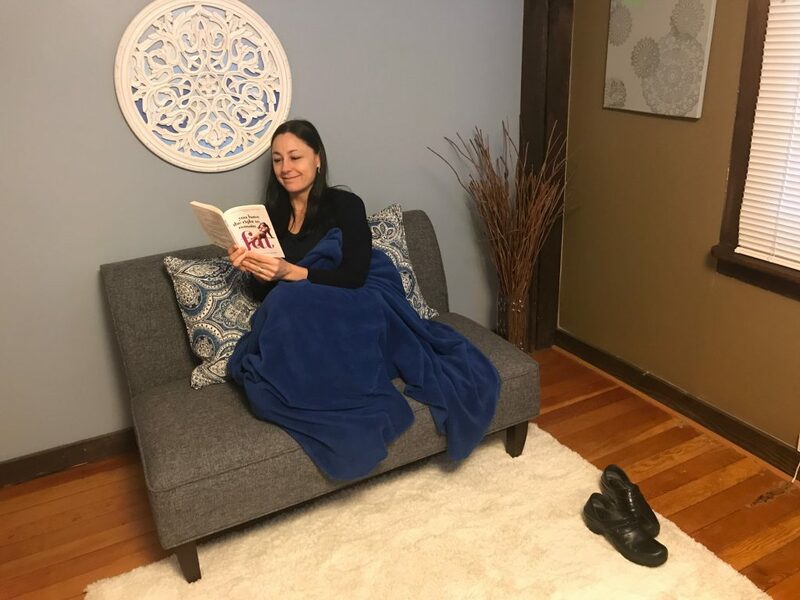 Bring your coffee, book, phone/kindle/laptop, breakfast, cozy things or pets back up to bed with you and snuggle down for as long as feels good. Wear your most comfortable outfit to work. Consider wearing that same comfy outfit in various forms to work everyday. Comfort equals self-care. Practice changing the critical voice in your head to a kind, supportive voice. Practice makes permanent. When in doubt, go to bed. Nothing says self-care more than cozy blankets and plenty of sleep, not to mention that it puts an end to a bad day. Ask yourself this…. “What is music to my ears?” Then, go find those sounds. Read something that isn’t on a glowing screen. 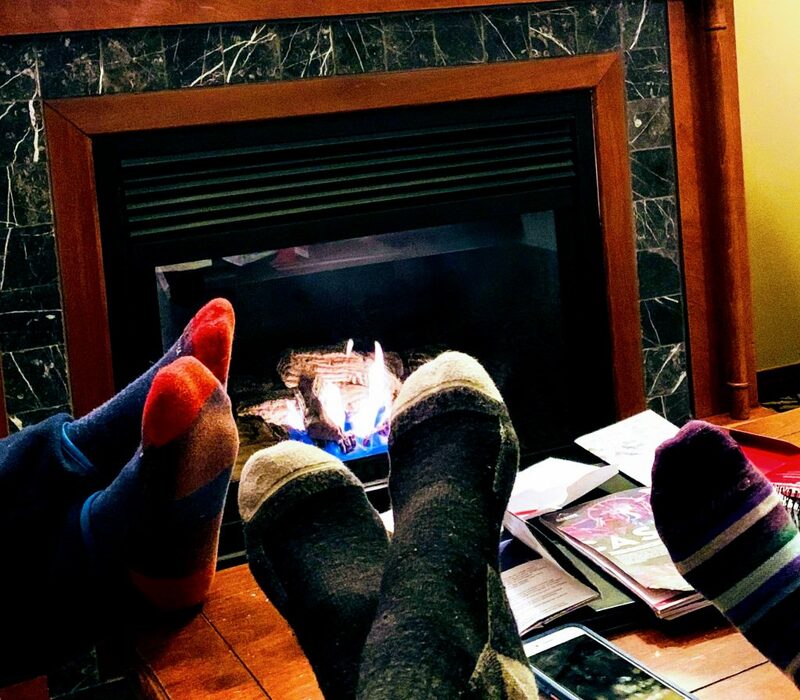 Take the Five Love Languages quiz and/or the Four Tendencies quiz. It’s fun and helpful to know what makes your heart happy and what motivates you to do things. They are free – Google search them. Eat the thing you really want. Plan a getaway that you will really look forward to enjoying in the near (or far) future. Get a massage. What self-respecting self-care list doesn’t have this one on it? It doesn’t have to cost money. Ask a loved one to rub your shoulders while your eyes roll back in your head and you moan. You’ve got this! Enjoy this one life you get. And, by the way, I give great pep talks so come see me if you need one.